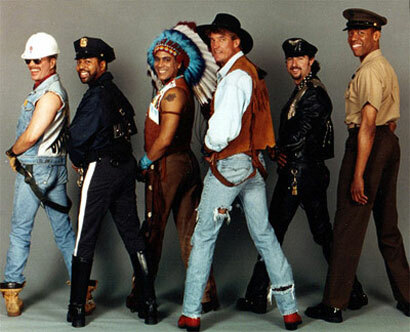 Victor Willis, the policeman of the Village People, is attempting to take back the rights to 33 of the band’s songs as he also wrote many of the lyrics. Willis, who left the group in 1980, signed away his rights to tracks such as ‘In The Navy’, ‘Go West’ and the infamous ‘YMCA’ during the peak of the act’s popularity. However, a little-known provision of US copyright legislation introduced in 1978 means that, even if artists have sold songs, they can reclaim the rights after 35 years. In Mr Willis’ case, the 35 year period ended on the 1st of January 2013. Willis and his lawyers have spoken of their confidence about winning the case, though how much of the catalogue he will be able to obtain is unclear. If he does succeed he will have the right to block access to the tracks for the remaining members who have been touring without Willis for the last 20 plus years. Although there have been numerous changes to the group’s line-up, Felipe Rose (Native American) and Alex Briley (G.I./Sailor) have remained a constant throughout the last few decades. Willis told the New York Times “I learned over the years that there are some awesome powers associated with copyright ownership. You can stop somebody from performing your music if you want to, and I might object to some usages."